Tyson Fury will challenge WBC champion Deontay Wilder before the year is out with the pair confirming the fight is on during a face-off in Belfast. 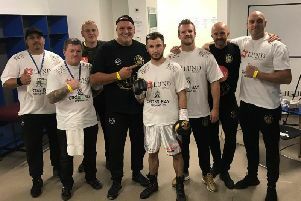 The heated confrontation came after Morecambe’s former world heavyweight ruler eased past Francesco Pianeta at Windsor Park on Saturday night in the second fight of his comeback after nearly three years out of the ring. The potential of Fury heading to the US to take on Wilder has been the talk of the boxing world for weeks. Now promoter Frank Warren has announced the clash will happen with full details to be announced next week, the fight expected to take place in Las Vegas in November. Wilder watched from ringside as Fury won 100-90 on referee Steve Gray’s card after a one-sided 10-round contest against former world title challenger Pianeta. The colourful American then stepped into the ring to get the big fight build-up up and running. "It is one thing that Tyson Fury has never had,” he said. “He had many belts, but he's never had the WBC belt. “And if he ever thinks about having this belt, he better wake up and apologise to me because he'll never have this. "I can't wait to fight you because I am going to knock you out. I promise you. "You've never been knocked out but you're going to feel the experience, what it feels to get hit by the Bronze Bomber." "Listen, you can't knock out what you can't hit,” Fury responded. "This man (Pianeta) couldn't land a blow on me tonight." Fury had early walked to the ring to the sound of "Sweet Home Alabama" by Lynyrd Skynyrd in a nod to Wilder who was born in Tuscaloosa, Alabama. From the off it was one-way traffic with Fury using his superior speed, range and jab to control the fight. Despite not picking up the stoppage many expected, the rounds could prove invaluable for the 30-year-old ahead of facing Wilder. 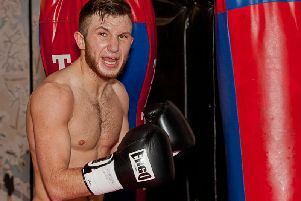 On the undercard, Fury’s training partner and good friend Isaac Lowe cruised to a points victory ahead of his British title rematch with Ryan Walsh in October. Morecambe’s former Commonwealth champion won 40-36 over four rounds against Jose Hernandez. The unbeaten 24-year-old will now challenge Walsh for a second time after the pair drew in February after 12 thrilling rounds.